The Chiropractic Society of Rhode Island (CSRI) announced members of its board of directors for the coming year. Dr. David Dwyer of Tollgate Chiropractic of Warwick and Wakefield will be the president, with Dr. Michael Zola of Zola Chiropractic Center in Providence and Dr. Alan Post of North Kingstown and Newport serving as the first and second vice presidents respectively. Dr. Rodger Lincoln of New Hope Family Chiropractic in Pawtucket will serve as treasurer, with Dr. Carlyle Smart of Newport serving as secretary. Dr. John Hayes of Newport will also serve as the member-at-large. Dr. Michael Gottfried of Aquidneck Chiropractic in Middletown is the past president. 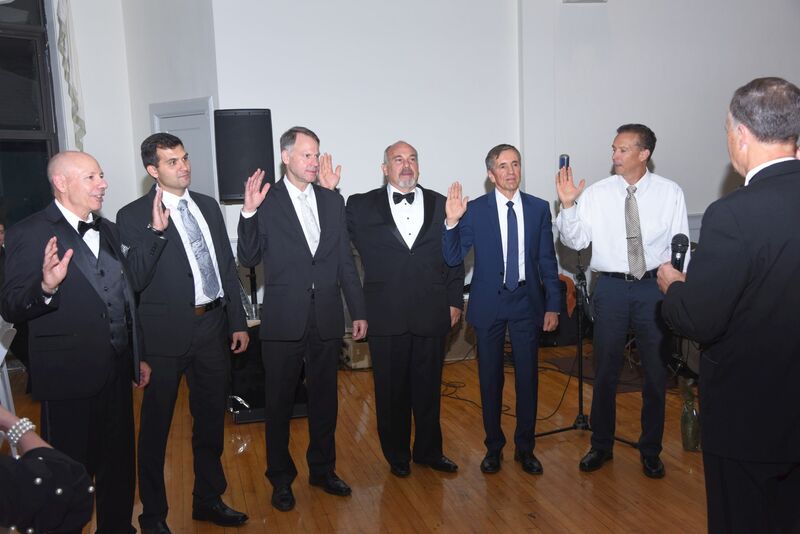 The new board of directors was sworn in at CSRI’s Centennial celebration marking 100 years as a chiropractic society. The event was held at the Rotunda Ballroom at Easton Beach on September 22. CSRI represents more than half of the practicing chiropractic physicians in the state of Rhode Island. Membership benefits include networking events, business and educational workshop, legislative support and other activities that promote chiropractic the number one natural healing choice. Chiropractic Society of Rhode Island is located at 1272 West Main Road, Building 2, Middletown, RI 02842. For more information, call (401) 207-0700 or visit www.RIchiro.org.